It’s back to school this week for most of the kids in our town. And what better way to start a new school year than with bribes treats for the teachers? Our girls are starting a new school this year and I wanted to formally introduce our family to the school staff… with cookies of course! 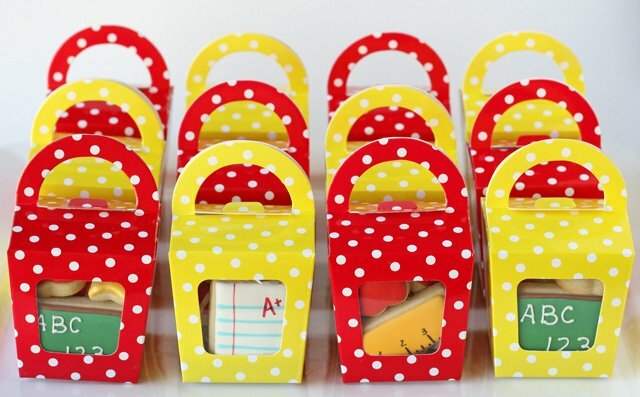 I had fun making up a bunch of mini school themed cookies, and packaged them in cute little polka-dot boxes (from Shop Sweet Lulu). Each cookie design is quite simple on it’s own, but together I think they make a pretty nice impact. 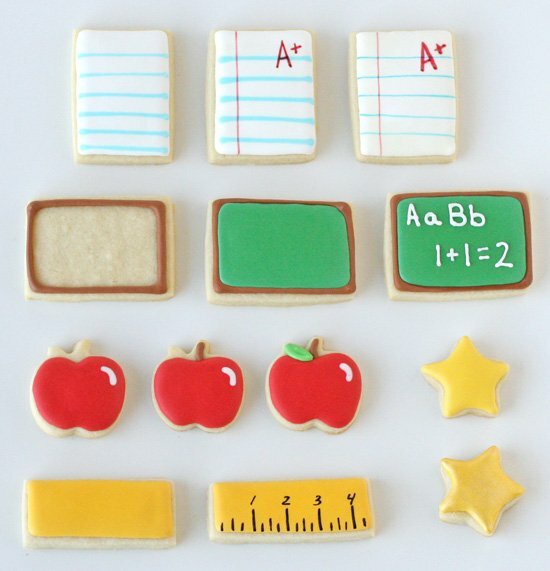 Ready to make some cute back to school cookies? 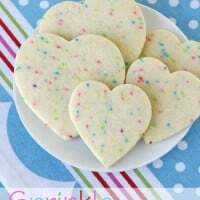 Piece of Paper Cookie– Outline and flood a small rectangle in white. While the icing is still wet, add lines in light blue (using a #1 tip). When the icing is fully dry (about 8 hours), add a red line along the side of the paper, and an “A+”. A few options here… I used a red food color marker for the “A+”, and for the red line down the side I made a “paint”, using a drop of red food coloring and a tiny bit of clear vanilla extract, then added the line with a very thin brush. You’ll notice the “piece of paper” on the far right has thinner blue lines than the other two cookies. For this cookie I “painted” blue (with a thin brush) for the lines of the paper, instead of adding blue icing. Feel free to use either technique. 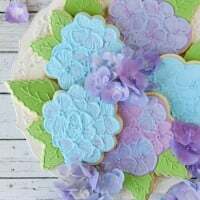 Chalkboard Cookie– Outline a rectangle with brown icing. Allow the brown to set up (about 1 hour) before filling in the cookie with green icing. When the green is fully dry (6-8 hours) add any desired message (ABC, 1+1=2), using white icing and a very small tip (I used a #1). Apple Cookie– Outline and flood in red. While the icing is still wet, add the small white accent. Allow red “apple” to set up a bit (about 1 hour), and add a brown stem. When the stem has set (about 1 hour), add a green leaf. Ruler Cookie– Outline and flood with a golden yellow. Allow cookie to fully dry (about 8 hours), then add details and numbers using a black food marker. Gold Star Cookie– Outline and flood star. Allow to fully dry (about 8 hours). Make a gold “paint”, by mixing gold luster dust with clear vanilla extract in a tiny bowl. Paint on the gold mixture in a thin layer, using a small paint brush. If desired, add a second coat of gold “paint”, once the first layer has dried. 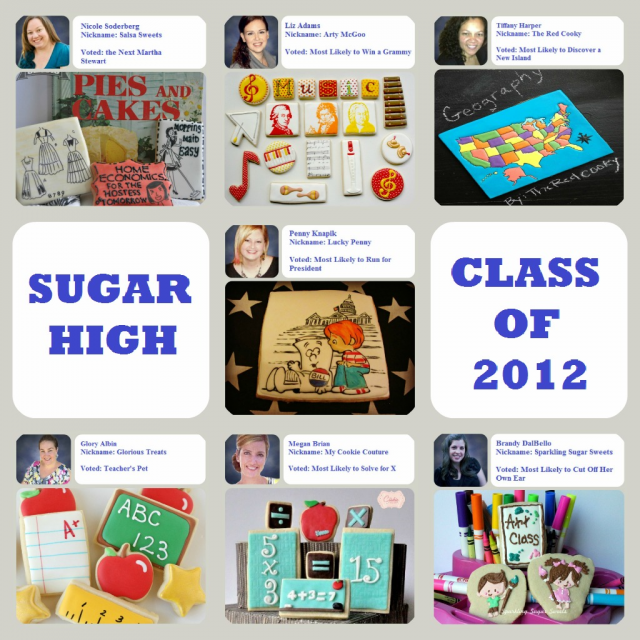 Here’s to a very sweet school year! Perfect packaging for your bright, colorful cookies. 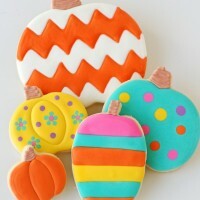 The packaging is the perfect compliment to these adorable cookies! Glory – your ideas always inspire me! Great collection! I love your little cookie boxes too. Wow, every kid in school with want some of these!! As a former teacher, I say – Bravo! It also gives children a ‘mission’ to deliver these to the teachers. All the other kids will want to talk to your child to ask what they brought. Great way to kick off the school year on a positive note! so cute, what lucky teachers! The cookies are all so adorable and I love the little containers. So cute! 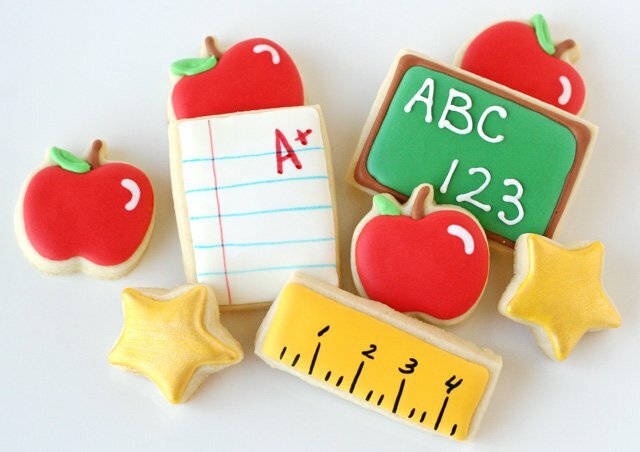 What a great back to school treat! So clever! Those teachers are definitely very lucky (well-deserved, I’m sure). Can’t get over how adorable these are! Just look at those darling pad paper and ruler ones! 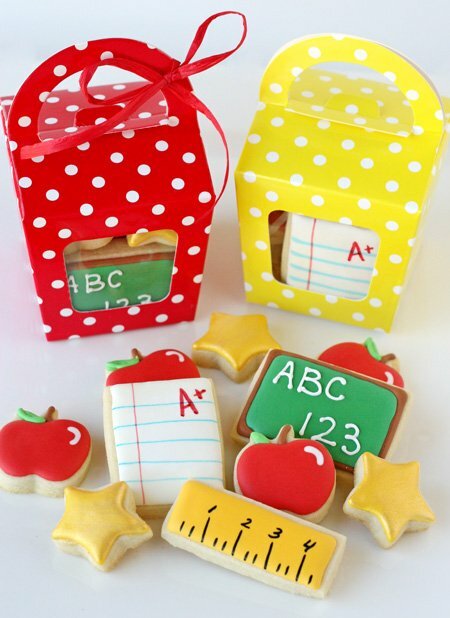 These are super sute and I think any teacher would love to get a cute box of cookies like these! Love you! So amazing! Love the cookies. Oh! I wish I was better at decorating cookies! Great ideas, though. I can’t get over how adorable and fun these cookies are! I am preparing an awards dinner for 130 people. The theme is what I wanted to be when I grew up. 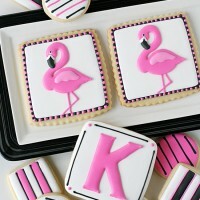 As a table decorations and treat I wanted mini cookies decorated as people or professions. Example, a baseball or baseball player, singer, policeman, vet etc. Depending on size. About 3-4 per person. 4 if tiny. Can you do this? I need by May 15th. Hi Gail, I’m sorry, but I do not take orders for any of my baking projects, they are simply gifts for family and friends. Thanks!